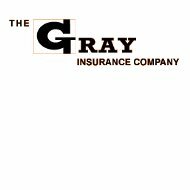 A Gray Health Insurance Company review leads to The Gray Insurance Company. Gray Insurance Company recently dropped employee health insurance benefits from the portfolio of products that they sell in order to refocus their direction. However, they have kept their workers compensation program to go along with several other insurance products. If you are looking for personal health insurance, you can compare rates and quotes right now from several top companies by entering your zip code in the box. They focus on these industries alone so that they can provide the best service to these industries. Having a singular focus means clients will get the most for their money. Workers compensation is a statutory insurance. This means that it is mandated by the state or federal government and must be carried. Gray’s workers compensation covers both small and large businesses. Commercial general liability from Gray Insurance covers casualty issues both with property and with personnel. This type of coverage would be used if anything happened to the physical property of the business such as a faulty air conditioning unit as well as any injury that happened to a non-employee on the property of the business. Gray Insurance Business Auto insurance is designed to cover employee driven vehicles such as take home cars or reward vehicles. It is also designed to cover service driven vehicles such as a fleet of trucks or vans. No matter what type of vehicle needs to be covered, Gray has a plan that will work. Maritime employer’s liability is set up to cover up to $1,000,000 in damages and can be changed to cover up to $4,000,000 in damages. This is a special type of coverage that is needed due to the high-risk maritime employees take on. It is imperative that they be covered. Whether working on fishing vessels, oilrigs, or any other type of marine vessel anytime an employee works on the open waters, risk is involved. Gray Insurance Company has a different way of handling claims. Instead of having clients call a toll free number or fax in a claim, they are given the contact number of a senior insurance adjustor. This adjustor is assigned to a small number of clients located in a similar area. This ensures that the client has direct access to an adjuster right away. The ability to call a toll free number or to complete a claim form online is still available. If the client files a claim this way, it will be forwarded to the adjustor as soon as possible so the adjustor can contact the client and work with them one on one. Working directly with an adjustor helps the whole process to move along more quickly. For major catastrophes such as fires or total losses, having a senior insurance adjustor assigned specifically to your case is a lifesaver. The adjustor is very familiar with your coverage, what can be filed, what needs to be replaced, and how to take care of your needs until the claim money is paid out. Both clients and insurance companies know that by preventing loss and making work places as safe as possible money can be saved. For the client, having few or no claims filed will reduce the amount of the yearly premium that is due. For the insurance company, having few or no claims filed makes the company a profit. To try to produce this win-win situation, Gray Insurance Company has a Safety and Loss Prevention Department. They provide hygiene, health, and safety classes for clients that can prevent loss from happening. The program encourages companies to assign safety and loss prevention responsibilities to a specific employee or group of employees for reward and accountability purposes. Gray Insurance Loss Prevention Specialist are available on a monthly basis to help clients with consultations concerning safety issues, to provide risk surveys, and to train employees and executives to be watchful of potential hazards that can lead to loss and injury.